/ Modified jul 9, 2016 1 p.m.
Dímelo asked - what have you celebrated recently and how? 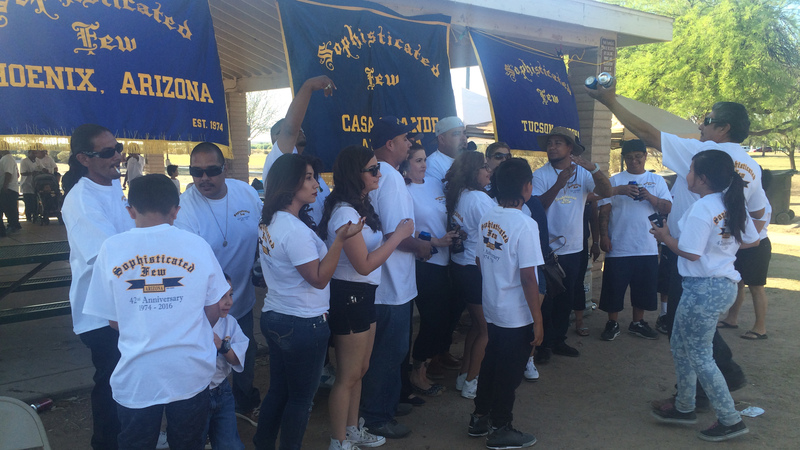 This year, The Sophisticated Few, one of the oldest lowrider car clubs in town celebrated its 42nd anniversary. They're a rare homegrown Arizona club. Car culture has long been a vibrant community in Tucson in part because of good weather. Caravans used to cruise down Stone or 6th avenue all night, until the police started cracking down in 2000 after an increase in shootings along 4th and 6th avenue. Now cars mostly meet in Rodeo Park. 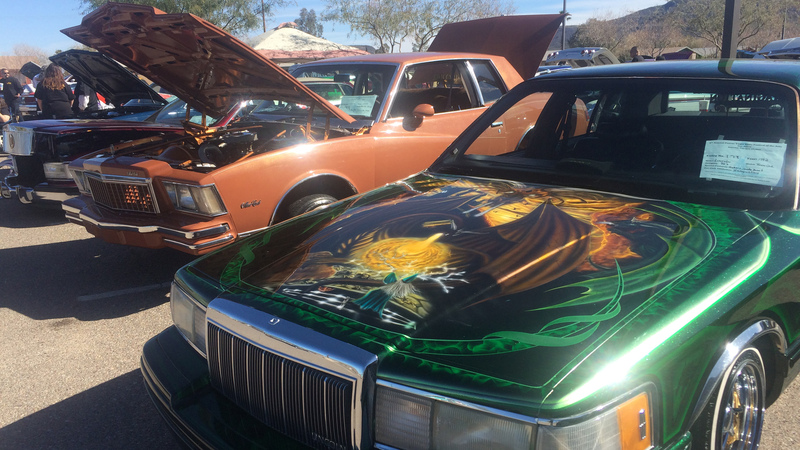 Lowriders in particular, slung low to the ground, can be seen gliding around the south and west side of town: posted up at BBQs, church events, car washes, and quinceañeras. It seems lowriders are present anywhere a party or celebration is happening. 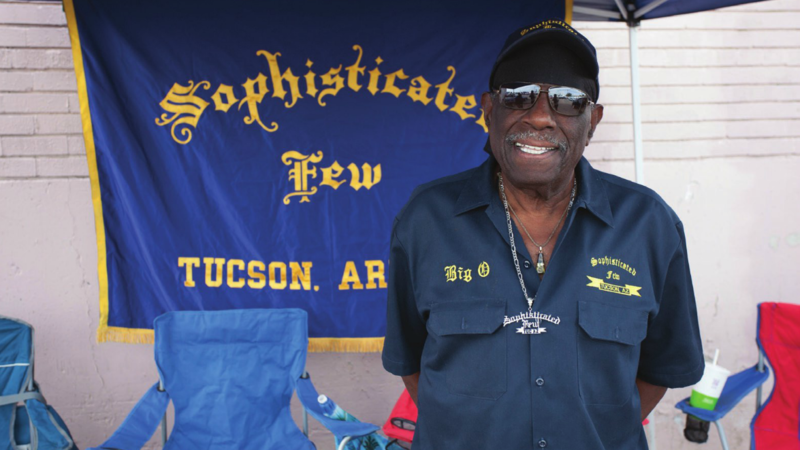 Probably the most famous old-timer at The Sophisticated Few reunion is a man by the name of Big O. The O stands for Otis Ray Dove Jr. He served as president of the club and was an original member when it was founded in 1974. The car club may have turned 42 this year, but Big O turned 80. He is a man known around Tucson. Listen to his story, about what being in the club has meant to him. 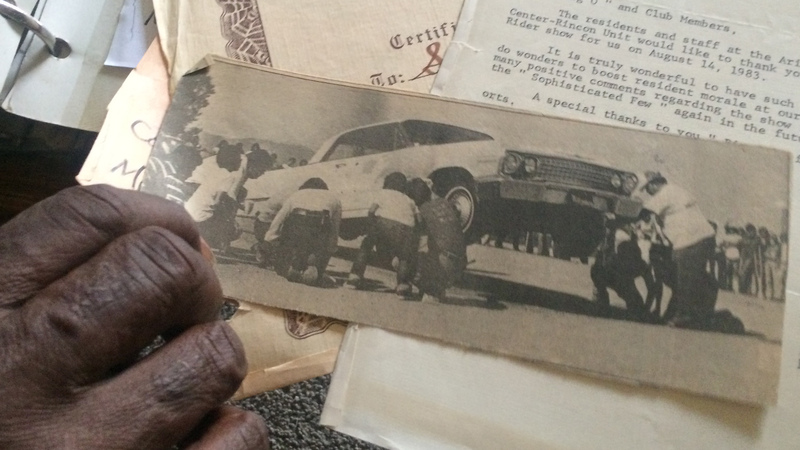 An old newspaper clipping from Big O's album, featuring car hopping in 1975. Big O talks about what he misses most. 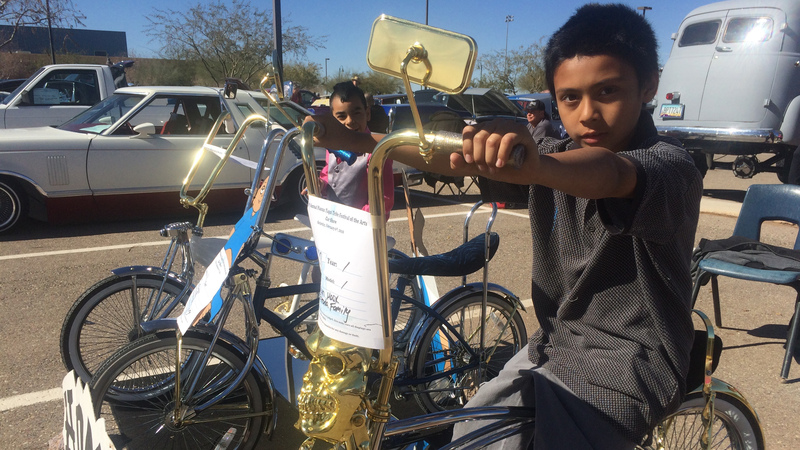 10-year old Deshawn Estrada, with his bike at the Pascua Yaqui Arts Festival car show, is working this way up to having a lowrider car someday. “My tata helped me, all my family members put money into the bike." The Sophisticated Few 42nd Reunion at Dave White Regional Park in Casa Grande. Pete Lopez, one of the original founders of Sophisticated Few, reflects on old times. Cars at the annual Pascua Yaqui Arts Festival.